Entry code to building provided by email, keys provided outside apartment door from a combination box, no problems with access. Best thing about the apartment, location, location, location. We’d stayed before and would return again, our favourite place for a Vienna stay of more than a couple of days. Everyone says the location is great. It is. We could walk to almost everything we wanted to do, plus the Metro was very close. Apartment was comfortable, and had all we needed. Location location. Would recommend this as you can walk to many Vienna sites. Very clean and spacious apartment. 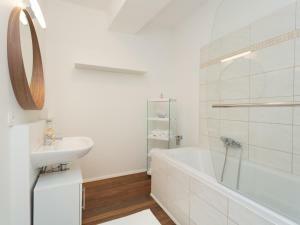 The location is very convenient as it is a walkable distance to almost everywhere in Vienna. There was coffee available in the apartment and the heating was excellent considering the cold weather outside. Highly recommend this place. Clean, quiet, owner key collection instruction is crystal clear. Owner providing Dallmayr Coffee, that's my favourite. i seriously has nothing to complain except enjoying our stay. Awesome! Everything was great , the hosts were very helpful, and the apartment was very clean. The location was good and the apartment was clean and big. Lock in a great price for Apartment Oper – rated 9.1 by recent guests! One of our best sellers in Vienna! 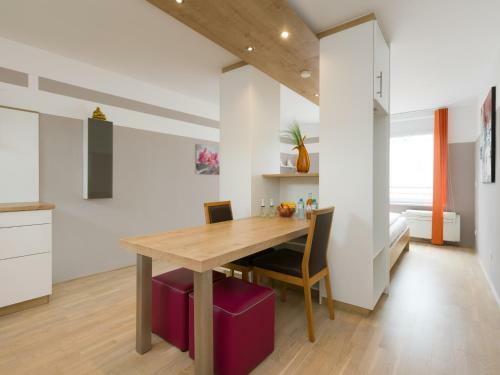 Located in Vienna, Apartment Oper provides accommodations with free WiFi, within a 6-minute walk of Vienna State Opera. All units feature air conditioning and a satellite flat-screen TV. An oven and microwave are also offered, as well as a coffee machine. House of Music is 0.6 miles from Apartment Oper. 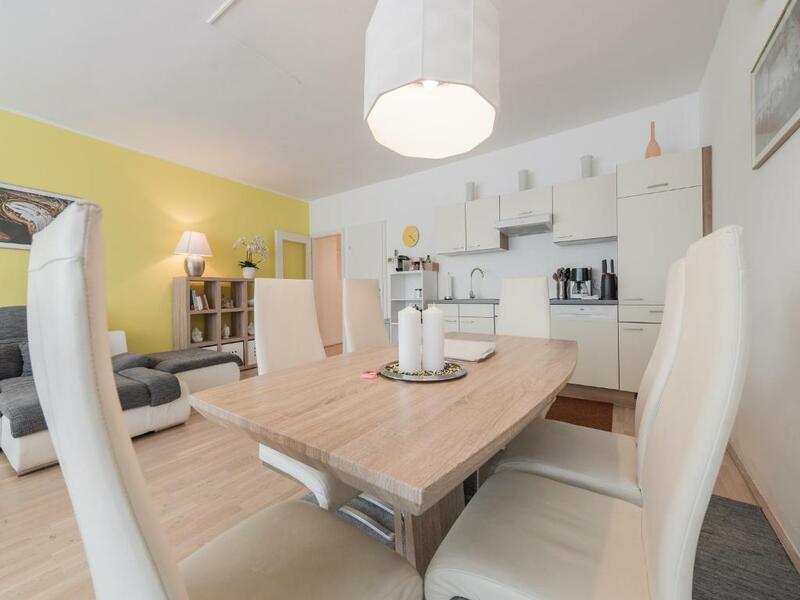 The nearest airport is Schwechat Airport, 12 miles from the accommodation. When would you like to stay at Apartment Oper? 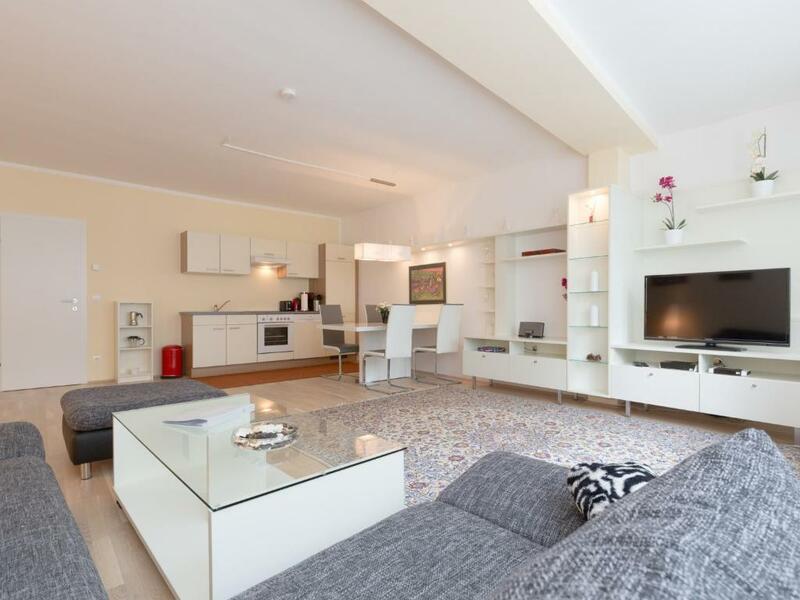 This apartment has a flat-screen TV, oven and dishwasher. Ich bemühe mich seitt vielen Jahren, Gästen die nach Wien kommen, eine gemütliche Unterkunft zur verfügung zu stellen. Direkt am Karlsplatz gelegen, können Sie alle wichtigen und sehenswürdigen Dinge in Wien zu Fuß erkunden. House Rules Apartment Oper takes special requests – add in the next step! Apartment Oper accepts these cards and reserves the right to temporarily hold an amount prior to arrival. Please inform Apartment Oper of your expected arrival time in advance. You can use the Special Requests box when booking, or contact the property directly using the contact details in your confirmation. The apartment building felt very secure. It was easy to communicate with our host, who was very friendly. No place to wash your clothes or to hang them to dry but an iron board and iron is provided. Annoying especially on a long stay. Air conditioner was very noisy. Location is excellent. Walking distance to a lot of great attractions. The spring air of Wien center is such that one needs fresh air (but, opening of the room window would cause even more pollens and dusts to come in, to infect the room..) Hence, I opted to keep the entrance door open to get some air from the builfings corridor - for this, I wish I had a door stopper! The corridors and the staircases of the spartment building were dark and the lights could be switched on only at the ground floor level. I also needed a big full body size mirror .. but there was only one half mirror above the sink inside the bathroom. It would have been perfect if the room also had been equipped with an unbrella (in case it rained..), and a sizable wall clock (without bothersome "tik tak" noise..). Wall plugs for electricity were a bit far away from the desk, not easy to charge a laptop pc while using it on the table... (But, I am asking too much...! It was quite great, so, am not complaining at all )... Thank you. The apartment was, for me, in the very perfect location! It was very easy to locate upon arrival and instantly get inside, thanks to the efficient and timely communications from the owner. It was tastefully and efficiently decorated and "almost"(*) perfectly equipped - with clean bedding, all towels needed, lights, closets for ling dresses, kitchen/cleaning eqipment, flower vase, essy5d room etc. and the living space was of a perfect size (not too small, not too huge). On top of it, it was in a safe and quiet area. The owners had provided quite extensive info as to the lists of restsurants, cafes, places of intetests etc from the local residents' point of view, which was intetesting and useful. It was also possible to leave behind my suitcase after the checkout time, via the ptactical use of storage space with secure key code access. Every needs were met and time was maximised during the stay. I wish I could actually live there as my own apartment! I felt at home within the instance I walked in the door! Some small issues with light bulbs and cleaning not being 100% but owner turned up quickly to rectify things- and brought a ‘sorry for the problem’ gift of a bottle of wine and chocolates! It was very warm at night in the bedrooms. The property was in a great location only a few minutes walk from the main centre. Very easy to find. There was a tram stop outside and also the underground station right next door. We didn’t use any of these as we were close enough to walk everywhere. There was a supermarket within 2 minutes and a sushi shop right next door. Every thing was spotless. The apartment was big enough for our family of 4, with plenty of space to chill in the living room. Christian allowed us to check in earlier, and all very easy. He also allowed us to store our bags at the end of our stay as we had a late flight out. Would definitely recommend staying here and would come back to this beautiful city! Excellent location, close to centre and underground. The heating was not working at all and it was cold ! The location and the calm. Don't really have any dislikes. We didn't get the TV working, but that was no bother to us as the wifi was great and we used our laptops. Sorry not to have any other observations. Great location. Very near to Naschmarkt, The Opera House, Karlsplatz and many other attractions. It is also very close to the underground station. 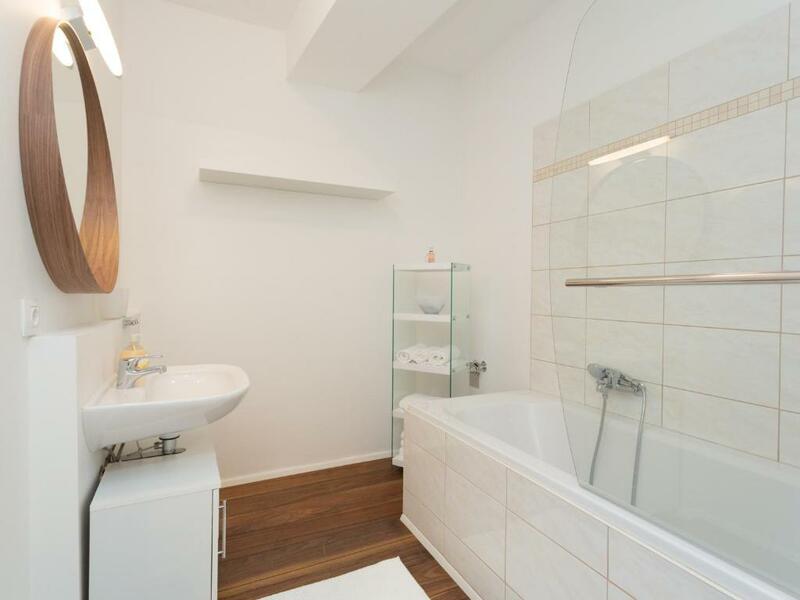 Overall the apartment is spacious, bed was very comfortable and the kitchen is well stocked in terms of appliances. 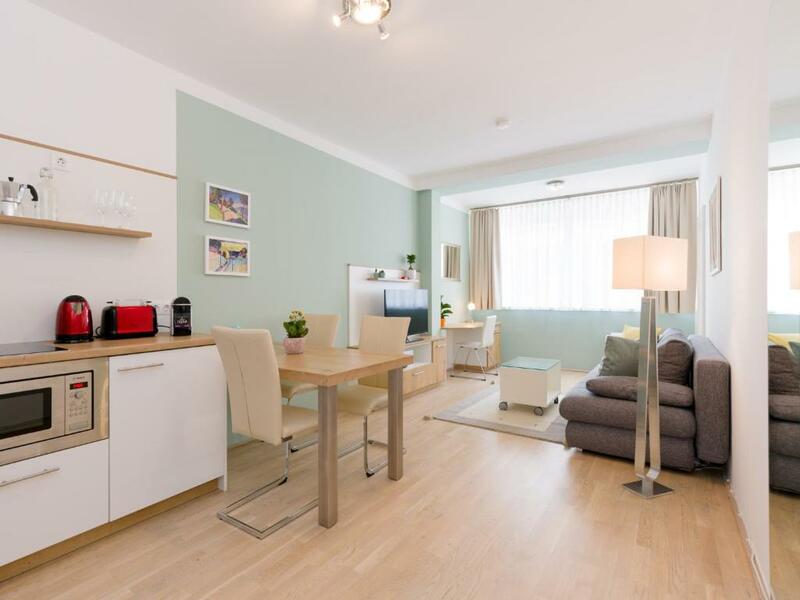 Great location - all popular Vienna attractions within walking distance. Apartment comfortable, well equipped and clean. The WRONG AND HORRIBLE ATTITUDE OF THE PERSON ON THE PHONE NUMBER THAT WAS PROVIDED . when we just mentioned that the aircondition was not functional and that the hot water was not coming through he said that he was not Jesus . We were basically stuck at this property . the location of the apartment is very central and the apartment is spacious but it does not deliver what you promise on the website . none of the airconditioners in the 2 bed rooms worked and we kept the windows open but neighbours had their TV sets on full volume at 1am ,so a good night sleep was far from being achieved . There was no continuous hot water in the showers on all the 5 days . Extremely well - equipped and comfortable and in an excellent central position.